﻿﻿ Full and Partial Rewires - APR Electrical Solutions. Electrical installations have a lifespan, as with most electrical appliances and products. This can vary and depends on a number of factors including the quality of the work carried out, and the type of system and wiring installed. Many people consider rewires to be a major task and often leave electrical boards and circuits to develop a fault before having a system checked. When a system has become unusable or unsafe, rewires may be the only solution. This is often the case with older circuitry, installed before the proliferation of electrical appliances within the home and office. Full rewires need not be as daunting as many people expect. We can complete all the planning, working with you to find the best and most cost effective solution to suit your requirements. 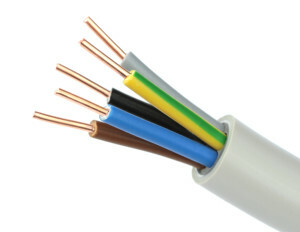 We can complete the work with minimal fuss and mess and even install surface trunking if needed. Contact us today to arrange an inspection and quotation with a member of our team.